Israel, The Church and Spiritual Harlotry. on to what is good. The scriptures that Paul was speaking of were the Hebrew Scriptures or what the ‘Church’ commonly refers to as the ‘Old Testament’. With that in mind let us review our history. Gen 10:6 The sons of Ham were Cush, Mizraim, Put and Canann. Genesis 10:8-9 Cush begot Nimrod; he began to be a mighty hunter before the Lord. 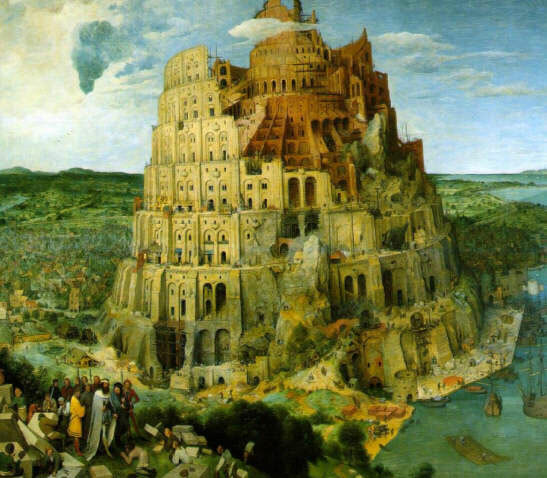 And the beginning of his kingdom was Babel, Erech, Accad and Calnech, in the land of Shinar. This shouldn’t be viewed of as being mythological. Archaeological discoveries over the past 200 years specifically have confirmed the existence of such cities. A fantastic book to read on this subject is Dr Werner Keller’s ‘The Bible as history’ if you are interested. What the Bible doesn’t go on to reveal is that Cush married a woman, more commonly known as Semiramis – This according to Dr. Herman Hoesh’s ‘Compendium of World History’ and supported by the British Museum in London. Indeed, the mass of archaeological evidence supports the existence of the cities mentioned above and also the celebration of both Nimrod and Semiramis within both Sumerian cultures and the occultic religions they bore. Following the death of Cush, it is recorded that Nimrod married his own mother Semiramis. He became a god-man to the people while Semiramis, his wife and mother, became a powerful queen of ancient Babylon. Genesis 11:2 And it came to pass, as they journeyed from the east, that they found a plain in the land of Sinar, and they dwelt there. 1 Thessalonians 5:21 but test everything that is said. Hold on to what is good. As we have previously seen in Gen 10:10 Babel within the land of Shinar was part of the kingdom of Nimrod. The word Nimrod in Hebrew means rebellion, as the tower itself became synonymous of. This was an expression of mans rejection of the very God who gave him life and freedom. 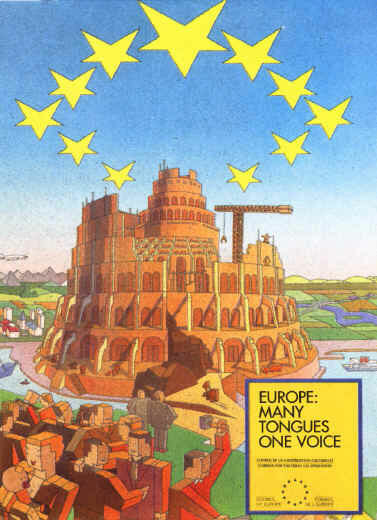 I do not believe that it is by coincidence that the European Union headquarters in Strasbourg which was constructed in design based on Brueghels Babel, which has obvious implications of rebellion towards God in mind. According the Jewish historian Josephus, Nimrod was killed by Noah’s son Shem who cut his body into many pieces and sent his body across his kingdom as a warning of rebellion against God. Following the death of Nimrod, Semiramis fled underground which is where the ancient pagan religion of mystery Babylon began – Rev 17. Semiramis had all of His body parts gathered together, except for one part that could not be found. That missing part was his reproductive organ, and so she ordered phallic symbols or obelisks to be set up everywhere, as a reminder to the people to mourn for Nimrod. It is here that many symbols that are today associated with Easter gain their understanding as symbols of fertility, including eggs and rabbits. Under the title, ‘mother of the gods’, the goddess queen of Babylon Semiramis became an object of universal worship. The mother of the gods was worshiped by the Persians, the Syrians, and with the most profound religious veneration by all the kings of Europe and Asia. When Caesar invaded Britain, he discovered the Druid priests worshiping the mother of god as Virgo-Patitura. Judges 2:11-13 Then the children of Israel did evil in the sight of the LORD, and served the Baals; and they forsook the LORD God of their fathers, who had brought them out of the land of Egypt; and they followed other gods from among the gods of the people who were all around them, and they bowed down to them; and they provoked the LORD to anger. They forsook the LORD and served Baal and the Ashtoreths. During the time of the prophet Jeremiah, the Jews worshiped the ‘queen of heaven’ so devoutly that they could not be convinced to give up this paganism even after Jerusalem had been burnt and the land desolated due to this very pagan worship. Ezekiel 8:14-17 So He brought me to the door of the north gate of the LORD’s house; and to my dismay, women were sitting there weeping for Tammuz. Then He said to me, “Have you seen this, O son of man? Turn again, you will see greater abominations than these.” So He brought me into the inner court of the LORD’s house; and there, at the door of the temple of the LORD, between the porch and the altar, were about twenty-five men with their backs tow ard the temple of the LORD and their faces toward the east, and they were worshiping the sun toward the east. And He said to me, “Have you seen this, O son of man? Is it a trivial thing to the house of Judah to commit the bominations which they commit here? For they have filled the land with violence; then they have returned to provoke Me to anger. Indeed they put the branch to their nose. Again it is worth noting that from culture to culture although the name of the goddess changed, the characteristics she portrayed remained the same. Is it not remarkable that the very things we read of are being carried out within the house of God today? Ecclesiastes 1:9-10 That which has been is what will be, That which is done is what will be done, And there is nothing new under the sun. Is there anything of which it may be said, “ See, this is new”? It has already been in ancient times before us. The practices that are gathering pace in front of our very eyes within the house of God are not new. Long ago Israel worshipped the ‘The queen of heaven’, now so does the Roman Catholic Church. and death.” (Catholic Catechism 966). There are three titles that have been given to Mary by The Vatican Council II held in the mid-1960s. These titles are inter-related and deeply rooted both in devotion and doctrine in the Catholic Church, and are becoming increasing tolerated within protestant Christendom: the Co-Redeemer (“the Mother Suffering”), Mediator (“the Mother Nourishing”), and Advocate (“the Mother Interceding”). As previously stated the Church of Rome declares that Mary is ‘preserved free from all stain of original sin’ (Catholic Catechism 966). The Catholic Encyclopaedia states of this: ‘In the Constitution Ineffabilis Deus of 8 December, 1854, Pius IX pronounced and defined that the Blessed Virgin Mary “in the first instance of her conception, by a singular privilege and grace granted by God, in view of the merits of Jesus Christ, the Saviour of the human race, was preserved exempt from all stain of original sin.”’ Of course to say Mary is free of original sin clearly contradict Holy Scripture. And Mary herself acknowledges her need of a saviour. Luke 1:46-47 And Mary said: “My soul magnifies the Lord, And my spirit has rejoiced in God my Saviour. The leaven which Paul here speaks of is the leaven of sin. We must be watchful of sin not only in our own lives, but also within the fellowship of believers as it will corrupt. Unfortunatly Church history has shown that in an attempt to Christianise paganism, Christianity has become paganised. Arch of Triumph of the Immaculate Heart of Mary. It is expected to be the world’s tallest monument, 70 storey’s high, standing on the waterfront of Lake Erie in Buffalo, New York. It will overarch a shrine for the Holy Innocents (www.archoftriumph.org). 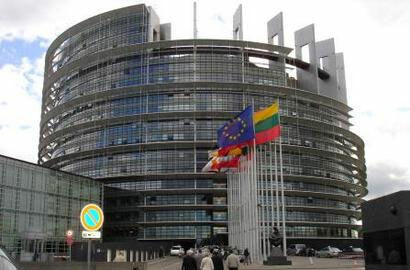 This project is being endorsed by The National Clergy Council which represents a network of church leaders from Catholic, Evangelical, Orthodox and Protestant traditions. It is shocking to see that the emergent church continues its march away from orthodoxy. More and more major denominations are seeking to break down barriers to unity after years of “dialog” with Rome. Doctrinal purity is being sacrificed on the altar of unity. This should concern every believer who values and honors the Word of God. So how should we celebrate what Jesus has done for us at this time of the year? The beauty of the fulfilled Passover is the way in which the work of Yeshua is so wonderfully displayed in the symbolism of its tradition and within all that is carried out around the Passover table. To think also it is celebrated in the homes of Jewish people all around the world, its quite amazing! And after all did God abandon the feasts He ordained? Maybe now we can understand its fulfilled message. So should Gentiles as well as Jews celebrate the Passover? Well let us first remember that we are not under the law. But there are amazing truths from coming to understand the fulfilment of the Jewish feasts – specifically Passover, the celebration of freedom. Our God’s design is beautiful. John 1:29 The next day John saw Jesus coming toward him and said, “Look! There is the Lamb of God who takes away the sin of the world. 1 Corinthians 5:6-7 How terrible that you should boast about your spirituality, and yet you let this sort of thing go on. 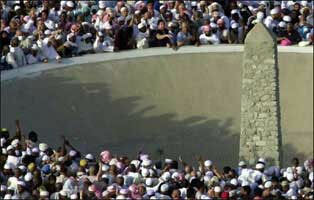 Don’t you realize that if even one person is allowed to go on sinning, soon all will be affected? Remove this wicked person from among you so that you can stay pure. Christ, our Passover Lamb, has been sacrificed for us. once for all, having obtained eternal redemption. For if the blood of bulls and goats and the ashes of a heifer, sprinkling the unclean, sanctifies for the purifying of the flesh, how much more shall the blood of Christ, who through the eternal Spirit offered Himself without spot to God, cleanse your conscience from dead works to serve the living God? points to our need of a saviour? Galatians 3:22-24 But the Scripture has confined all under sin, that the promise by faith in Jesus Christ might be given to those who believe. But before faith came, we were kept under guard by the law, kept for the faith which would afterward be revealed. Therefore the law was our tutor to bring us to Christ, that we might be justified by faith. We now have now been truly delivered into freedom by grace through faith. Our God is awesome! What a plan of salvation but what an amazing story of its coming, into total fulfilment. Of course an understanding of the Passover also allows us to understand the context things are spoken within. We may thus come into a greater understanding of our faith which gives glory to God. Let me share an example with you – An appreciation of the Lords supper. The two main elements of the Passover table are the bread and the wine. 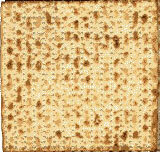 The bread used at Passover – ‘The Matzos’, by Jewish Law must be unleavened, stripped and pierced! – What a picture of our Messiah. Isaiah 53:4-5 Surely He has borne our griefs, And carried our sorrows; Yet we esteemed Him stricken, Smitten by God, and afflicted. But He was wounded for our transgressions, He was bruised for our iniquities; The chastisement for our peace was upon Him, And by His stripes we are healed. All we like sheep have gone astray; We have turned, every one, to his own way; And the LORD has laid on Him the iniquity of us all. That is what our Lord would have demonstrate to His disciples. This is not a picture of transubstantiation but of the Passover lamb. Luke 22:20 Likewise He also took the cup after supper, saying, “This cup is the new covenant in My blood, which is shed for you. The third cup drunk at the Passover table is the cup of redemption. In His blood we have redemption. I could go on and on about the depth of teaching within the Passover supper. It is in this respect however that if Jewish people are to come to now Yeshua as their messiah, I believe that the church needs to be effectively witnessing to them in truth and in spirit. Few Jewish persons are going to listen to a witness based on Maundy Thursday, Good Friday and Easter Sunday, Its alien and lets be truthful, its apostate. Many may argue that in terms of Christians celebrating Easter that ‘God is bigger than that’. The problem with this rationale is that you could justify any action or deed in that way. Why did God judge Israel for the golden calf? Why did God not accept Cain’s offering? God desires Holiness BECAUSE of the grace He has gifted us with and for us to bring worship as He wishes. 1 Kings 12:31-32 He made shrines on the high places, and made priests from every class of people, who were not of the sons of Levi. Jeroboam ordained a feast on the fifteenth day of the eighth month, like the feast that was in Judah, and offered sacrifices on the altar. So he did at Bethel, sacrificing to the calves that he had made. And at Bethel he installed the priests of the high places which he had made. Whether or not Jeroboam sought to do evil in the eyes of Lord is irrelevant. We read that this action was regarded by God as a sin (1 Kings 12:30). The consequences of Jeroboams actions upon the kingdom of Israel were huge. Israel was led into spiritual darkness. Within our country our leaders, both governmental and within the established church are defying God’s commands and are bringing strange fire before God. It is not worshipping God in spirit and truth. Consequently as with Israel during the reign of Jeroboam, the unsaved are being lead astray because ‘believers’ are not standing for truth. This is a time when the church needs to be returning to orthodox Christianity. As we read so many times in scripture spiritual harlotry will lead to a loss of anointing. Hosea 4:6 My people are being destroyed because they don’t know me. It is all your fault, you priests, for you yourselves refuse to know me. Now I refuse to recognize you as my priests. Since you have forgotten the laws of your God, I will forget to bless your children. Many believers in this country are becoming puffed up, ironically they are becoming ‘leavened’. They cannot see the errors of their ways and their need for repentance. That is what God requires. Not empire building or purpose driven crusades, but the church to repent, THEN GOD will build HIS church, not man. We must be mindful of not living and serving God as we did when we lived in ignorance. Let us be radical in our love and obedience to our God at this time, in this age. 1 Peter 1:14-15 Obey God because you are his children. Don’t slip back into your old ways of doing evil; you didn’t know any better then. But now you must be holy in everything you do, just as God—who chose you to be his children—is holy. I have written what I have written in love, love for Yeshua, love for my brothers and sister in Christ and a love of the truth. Lets us become wise to the whole council of God.